What if it were possible to live a very long life and die from a very brief illness? 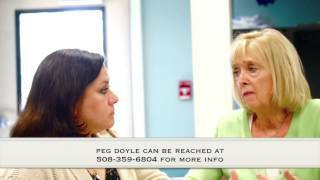 Peg Doyle shows you how it is possible and will give you the critical steps you need to achieve that goal. With a mix of a positive mindset and focused attention to key factors in healthy living, you will leave this talk with renewed faith in the possibility of seeing your own 100th birthday. Have you wondered why some people live to 100 while many do not? This has been a special interest of Peg Doyle and she will bring you some answers that can work for you. Her research into the lives of many centenarians uncovered a number of common traits that can be adapted to improve your life at any age. Hint: one of them is love. It is well documented that energy and focus in the workplace drops at mid-afternoon. Nutrition and wellness expert Peg Doyle provides you with three critical practices to eliminate this low productivity phenomenon and restore even focus and performance throughout the day. Is it Allergies? Or is it Toxins? More people than ever before suffer from allergies and vague illnesses. The question Peg poses is this: Is your body the problem or is your environment at fault? Peg guides you through an exploration of the many ways toxic invaders affect the body and will show you how to detect the causes of your discomfort and find solutions. Technology blurs the boundaries between work and personal life, making time management and self-care more critical than ever. For women in child-bearing years and beyond, careful attention to healthy eating is essential for maintaining focus and energy in the workplace. Providing knowledge about healthy eating, not dieting, increases the probability of maintaining a healthy workforce. This presentation can focus on improved workplace environment/dining options and/or can teach women effective manageable techniques for healthy nutrition at home. Having a solid nest egg at retirement is a worthwhile goal. It takes planning and attention, just as caring for your health does. The best hope of any retiree is that all that hard earned money may be used for worthwhile causes - travel, education, charity, or building family wealth for the next generation. Peg illustrates the parallels between money wealth and health wealth for anyone approaching retirement and gives practical steps for making course corrections if health is at risk. 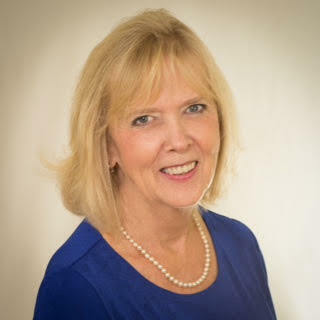 Peg Doyle is a nationally certified health coach, speaker, author, and educator. 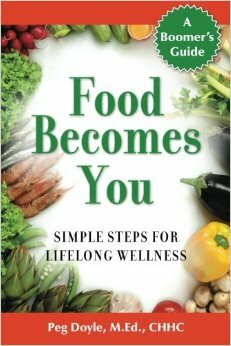 She is the author of Food Becomes You: Simple Steps for Lifelong Wellness. Do you want a speaker who can shatter old beliefs and paralyzing mindsets about health and lifelong wellness? Does your audience need to hear from someone who can help them close the gap in their minds concerning how they see themselves, their health and their future? Are you looking for an innovative, thought-provoking and interactive speaker who will engage and connect with your audience? Peg is an innovative, passionate and inspiring speaker and author. She guides audiences toward a mindset of lifelong wellness through story-telling that shows how most of us can reclaim our health and stay well through a series of manageable and easily understood steps. With 10,000 Americans turning 65 every day, and who will continue to do so until 2029, it is imperative that every organization does its best to promote health and wellness. Chronic illness is expensive, and with a burgeoning older population it places an excessive strain on the economic health of companies, families and government. Peg’s presentations show there is a better way. She understands the power of the body to heal itself and is delighted to share what she has learned through her studies and experience. Her focus on nutritional healing enables women and men to resolve digestive issues that impact their energy, confidence and overall health. Through her work she aims to change the mindset of aging as synonymous with decline to one of lifelong wellness through proactive lifestyle choices. She accomplishes this through a blend of research, storytelling, and experiential workshops. Doyle is owner of Wellness and You and has been in practice since 1998, offering women and men simple steps to recover and maintain their vibrant health. She will be a featured speaker at the 2017 Massachusetts Conference For Women. Joseph M. Bruno, Associate Dean, HMS. “Peg Doyle provided a nutrition workshop and cooking demonstration as part of our wellness programming. I feel that Peg Doyle has an extraordinary ability to connect with her audience and motivate them to make lifestyle improvements. Since her workshop, I’ve received very positive feedback from participants, who mention how much of an impact her program has had on them. This tells me that, not only are they listening, but they are eager to hear more! As a large company working to keep our employees healthy, that is priceless.